Congratulations to Gerald Lenoir for carrying the torch and blazing the way for so many social justice issues from HIV/AIDS awareness in the Black community to his recent work in just migration for Pan Africans. Much success on your new work! Farewell to Alona Clifton and much success in Atlanta. Congratulations also to Almaz Negash, founder and director of African Diaspora Network in Silicon Valley for her national recognition and award at the Continental African Leaders Summit in Washington, D.C. See http://africaevents.wordpress.com/. We hope the definition of African Diaspora will expand to include Pan Africans one day as well. It is one thing to have the African Union designate a region and chair for the Diaspora; it is another to feel such inclusion as a part of the first Diaspora wave connected to the displaced millions in the Black Holocaust or Maafa. I am launching a global Appreciative Inquiry on Diaspora Citizenship this November 2014-July 2015, and I am looking for individuals and organizations to get the questionnaire out to others in the Pan African Diaspora, those whose ancestors were enslaved. Send me an email or drop me a line: mail@maafasfbayarea.com or P.O. Box 30756, Oakland, CA 94604. I would like to include those brothers and sisters inside the prisons as well. 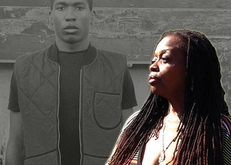 The query will be up on the Maafa website this October: http://maafasfbayarea.com. 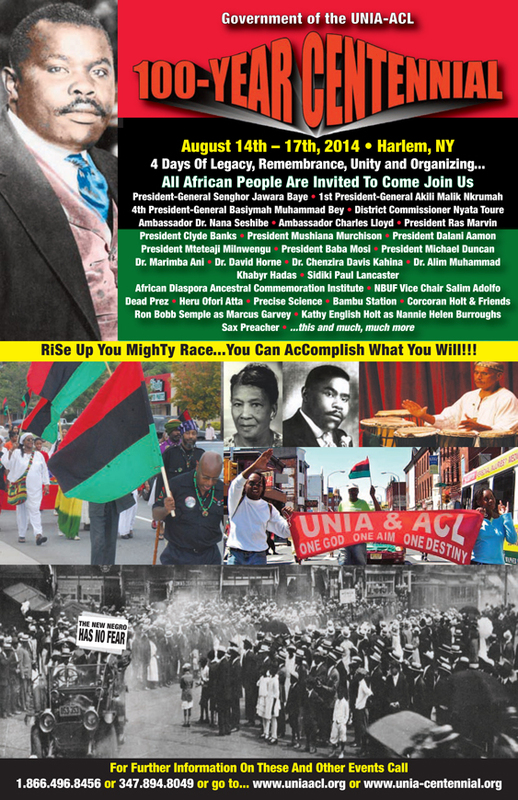 That said, this is the 100th anniversary of the Honorable Marcus Mosiah Garvey’s UNIA-ACL with festivities this month in Harlem, New York, Aug. 14-17. Visit http://www.cbpm.org/unia-aclcentennial.html and https://www.facebook.com/uniacentennial. Catch the opening of AfroSolo as it celebrates Paul Robeson in a free concert with baritone Anthony Brown accompanied by Dr. Paul Blake, Aug. 2 at 1 p.m. at Yerba Buena Gardens, Third and Mission Streets in San Francisco. Visit http://www.afrosolo.org/. Saturday, Aug. 9, 10 a.m. to 1 p.m., is the United In Health free community Health Fair, at the Ella Hill Hutch Community Center, 1050 McAllister St. at Webster in San Francisco. AfroSolo’s 20th Season opened with a phenomenal sneak preview of the Black Voices Series, featuring the work of African American solo performers Lance Burton, Stephanie Johnson and Kurt (DJ) Lamont Young at The Marsh in San Francisco. It was such fun; I can hardly wait to see the more polished work with props in September. The theatre was full and many were new to The Marsh. Black Voices 2014 has a thematic range and style that kept the audience on the edge of our seats as we watched Kurt Young in “Grandpa Fly” say goodbye to his grandfather while at the same time question whether or not he was going to share an important secret with him before it was too late. At the preview a man’s dress suit and shoes sits on stage creating aneerie presence the character eventually embodies. Dr. Johnson (in “Every Twenty Days: Cancer, Yoga and Me”), known for her lighting design and mixed media artwork, steps before the light in this rare and wonderful story about survival and fitness using the metaphor of yoga as the vehicle. The story of this cancer survivor is funny and lighthearted as Johnson gives her audience the postures to carry the tale forward and perhaps even try yoga on for size. I hope at the evening-length performance in September, the playwright gives us a few moves to take with us. Brother Lance Burton in his “The Irrelevance of Being Relevant” takes us back to a San Francisco many missed, especially if they’ve just arrived. It is a Black town the newly arrived migrants from the Little Rock, Arkansas, fit right into as the War Between the States rages back home. The Central High School transplant is so funny as he dons many hats or personas – men and women, most relatives and younger selves – as he takes us on a journey into an American history lesson civics classes should not miss. His is the kind of history lesson that is both relevant, thought provoking and timely as the Black exodus from San Francisco creates not even a ripple. Missing in this preview performance was the music and multimedia back drop which will only enhance Burton’s marvelous work. I hope all the playwrights plan to publish their work. Perhaps after Thomas Simpson’s Legacy Project, letters from older Black men to younger ones, is completed, he can begin to create a body of AfroSolo performance scripts. 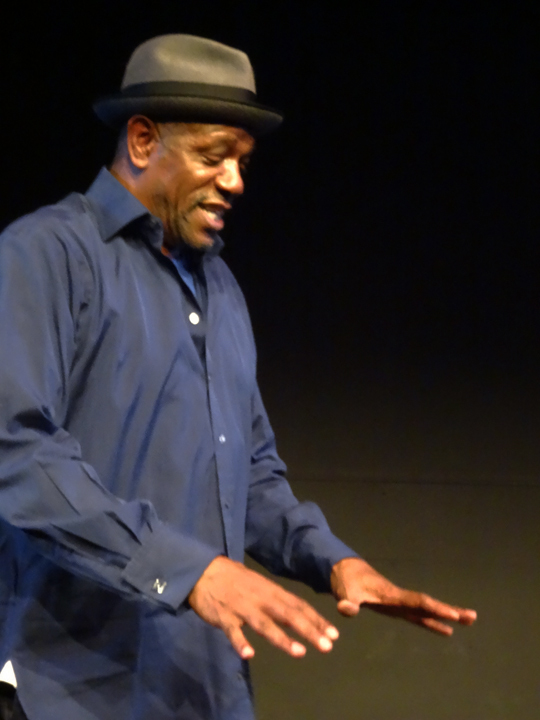 Brian Copeland has a new piece, “The Scion” (Marsh SF, ages 14-up), Thursdays-Fridays at 8 p.m. and Saturdays at 5 p.m. through Aug. 23; Dan Hoyle’s “Each and Every Thing” (Marsh SF, ages 15-up), also Thursdays-Fridays 8 p.m., Saturday 8:30 p.m., Sunday 2 p.m. through Aug. 24; Don Reed’s “Semi-Famous: Hollywood Hell Tales from the Middle” is at The Marsh in Berkeley (ages 17-up) and Jinho’s “The Piper” and Ferreira’s “Cops and Robbers” is also at The Marsh in Berkeley. This show interrupts and continues the narrative opened in Arielle Brown’s “Lovebalm.” Piper skillfully embodies 17 characters, victims, perpetrators, witnesses. Visit http://themarsh.org/. “Motown, the Musical,”directed by Charles Randolph Wright, book Barry Gordy Jr., is opening this month, Aug. 15-Sept. 28, in San Francisco at the Orpheum Theatre. Visit https://www.shnsf.com/online/motown. Lower BottomPlayaz present August Wilson’s play about urban renewal or Black removal in Pittsburgh, Pennsylvania, yet it feels so Oakland. “Two Trains Running” is at Flight Deck, 1540 Broadway at 15th Street in Oakland this weekend, Aug. 1-2, 7 p.m., and Sunday, Aug. 3, 4 p.m. Tickets are $15-$35. See http://sfbayview.com/2014/07/lower-bottom-playaz-present-august-wilsons-two-trains-running/. Multi Ethnic Theater, in association with Custom Made Theatre, presents August Wilson’s “Jitney” Aug. 7-31, at Gough Street Playhouse, 1620 Gough St. in San Francisco. Directed by Lewis Campbell, founder and artistic director of Multi Ethnic Theater, the play concerns a group of working class men who offer gypsy cab rides to and from African American communities where city cabs refuse to go. This play follows chronologically after “Two Trains Running” (smile). Opening weekend, all seats are $20. For tickets and information, visit www.wehavemet.org. A celebration of the life of the great Yuri Kochiyama will be held Saturday, Aug. 2, at St. Paul’s Methodist Church, 405 S. 10th, San Jose. Doors open at 4:30 p.m. The program is to 9 p.m. Donations are $10 entrance, $5 dinner, but no one will be turned away for lack of funds. Also there is a group rate for those who wish to attend multiple events, such as the panels below. 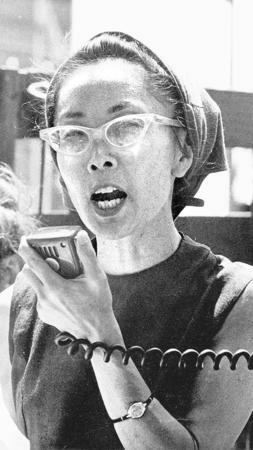 A young Yuri Kochiyama, who learned to be a dynamic political advocate from working with Malcolm X, speaks at a rally in New York City’s Central Park in about 1968. There are two panel discussions scheduled to take place in honor of Yuri and in commemoration of Black August in Oakland and San Jose on Aug. 1 and 2, featuring Dhoruba bin Wahad, Ernesto Vigil and Ilyasah Shabazz. Check Facebook for the details, https://www.facebook.com/events/466650750104189/. For information, call 408-791-7471 or 408-830-4186 or email sjyurikochiyamalifecelebration@gmail.com. Aug. 1, Passin’ It On, Part One: Generation to Generation, at Qilombo, 2313 San Pablo Ave., Oakland, 6-9 p.m., $12-$15, no one turned away. Call 510-338-7933 or email info@qilombo.org. Aug. 2, Passin’ It On, Part Two: Justice for All, at African American Community Service Agency, 304 N. Sixth St., San Jose, 12-4 p.m., http://www.sjaacsa.org/, $12-$15, two for $25, a fundraiser for the Justice for Gregory Johnson Jr. Campaign. Call 925-699-7636 or e-mail sjblackaugust2014@gmail.com. Art and Soul is this first weekend, Saturday-Sunday, Aug. 2-3, 12-6 p.m. Visit http://www.artandsouloakland.com/. Jazz Week Summit runs Aug. 7-8 in San Jose. Visit http://www.jazzweek.com/summit/. The 25th Annual San Jose Jazz Summer Festival is Friday, Aug. 8, through Sunday, Aug. 10, with an exceptional line-up of talent featured on 11 stages throughout the weekend. Tickets are discounted through Aug. 6, from $55 to $285. Visit http://summerfest.sanjosejazz.org/. The Bay Area Jazz Society presents Sunday Jazz Jam with pianist Damy Sudi Alii and special guests with Paul Tillman Smith, drums, Carl Lockett, guitar, and Alex Smith, bass, every Sunday, 5-8 p.m., at Southern Cafe Soul Food Buffet, 2000 MacArthur Blvd., Oakland. Skilled musicians are welcome (smile). I had a wonderful interview with Haitian American architect Rodney Leon, whose design was selected for the United Nations monument honoring formerly enslaved Africans. Entitled “Ark of Return,” Portions of the model along with others submitted last year are part of an exhibit that opened last month, on the 210th anniversary of Haiti’s independence. “Victory Over Slavery: Haiti and Beyond” is at the United Nations Headquarters Visitor Centre. It is up through Sept. 14. See http://unexhibitsny.org/on-view-at-the-un and https://www.facebook.com/media/set/?set=a.720635974663039.1073741847.458553937537912&type=3. I’d learned of Mr. Leon’s winning design last year and contacted the designer; however, another event came up and I had to cancel our talk, so I am happy we were able to speak on the occasion of this exhibition. We spoke about the reception, which was attended by friends and family of Mr. Leon, along with other dignitaries, including Ambassador Denis Régis of Haiti, with opening remarks by U.N. Secretary-General Ban Ki-moon. Also in attendance was Ambassador Courtney Rattray of Jamaica, Ambassador Téte António of the African Union, who mentioned the timeliness of the exhibit and the commissioned work, “Ark of Return,” to coincide with the AU’s International Decade for People of African Descent, which will begin in the months ahead. Also present was Emma Christopher, whose film was a part of the free Remember Slavery film festival. “They Are We”is the story of the return of the Cuban descendants of an enslaved woman to her village of origin in Sierra Leone. Christopher’s film screened in the Bronx, outdoors in a joint collaboration between the United Nations and the New York African Film Festival. The AFF also collaborates and brings us the African Film Festival at UC Berkeley’s Pacific Film Archives each year (smile). 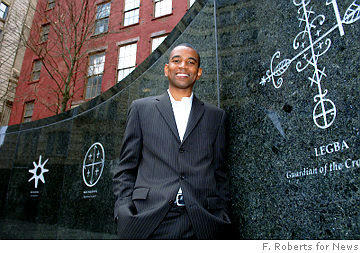 We spoke about the thinking behind the winning design, the architect no stranger to similarly themed work, as he also designed the exhibit commemorating the African Burial Ground on Wall Street in Manhattan in May 2007 (http://www.rodneyleon.com/). Wanda Sabir: Could you speak a bit about the “Ark of Return.” It was created around the themes of acknowledging the tragedy, considering the legacy, and lest we forget. Within the piece – an ark: We think of vessels that float on water, travel, fluidity – what was your thinking around the piece, which is going to be completed next year for the 70th anniversary of the UN? In regard to the Ark of Return and what inspired its design. It was inspired by many things, the idea of a vessel. We felt that it was important due to a certain amount of research on the project. We were fascinated by the notion of the triangular slave trade and the Middle Passage in particular and the role that these slave ships played. In a lot of the research we saw how these maps of the slave trade routes themselves had such a widespread and significant impact on the transformation of the western hemisphere. These maps and these ships and even architecturally looking at the cross sections of a lot of these slave ships and how they were able to compress so many people into such a small tiny space and the people had to endure such extreme conditions over many weeks and many months, traveling across these vast distances, we felt that this whole idea of being torn and taken away from your homeland never to return essentially, and that being done with these ships, we felt it was important to come up with a way to acknowledge that, but at the same time, create an opportunity for a vessel which then perhaps, if not literally, but spiritually and conceptually allows one to go back to a place where one’s ancestors were. Not necessarily physically, but maybe psychologically and emotionally kind of undo the tragedy of being taken away by those slave ships and creating an ark or vessel that allows one when [he or she] passes through to acknowledge that history, to consider it and to participate in a kind of ritual that cleanses one and allows one to then be able to heal to a certain extent some of the wounds of that tragedy in an emotional and spiritual way. So the Ark of Return is undoing that [tragedy], [as it also] provides an opportunity to educate people about the experience and give people an opportunity to be in a space where they can kind of reflect about how it is that we are here today and the sacrifices of those that came before us that allowed us to be where we are and never to forget and that becoming important not only because of the past, but also because of the condition of a lot of people who are suffering today in contemporary forms of slavery. It is through memorialization and through our collective actions that I think that an education of young folks, children, that we’re going to be able to continue to make progress in the future moving forward, so these tragedies don’t continue to occur. The Ark of Return really is meant to deal with the three themes of the competition and we took that theme, those three themes, in a lot of ways and kind of repeated them and integrated them into the design. The triangle itself is a three-part figure. We used the triangle, which is referenced from the triangular maps, and the triangular slave trade as the primary geometric form in the Ark, and that is how we create the vessel itself through the triangulation in the ship’s form. The vessel (ship) is constructed in three elements that deal with the acknowledgement of the tragedy – the legacy, lest we forget. The acknowledged tragedy aspect of it is really reinforced through the implementation of a map that we have inside a chamber of the vessel that reflects the triangular slave trade route, and it informs people about that. “The second element of considering a legacy integrates a body in state lying inside the chamber that is meant to harken back to the people who were in the bowels of these slave vessels, but more so reflecting the idea that soul being taken back to a place which is pointed eastward, the African coast and that idea kind of return is implied there and acknowledgement is implied there as well. “The third element is the “lest we forget” aspect of it, which deals with the future. It is an opportunity to participate with ritual of water, whether through libations or through some types of prayer or ablution. We created a water font – a reflecting pool where one can participate in kind of like a cleansing ritual, which has many different spiritual precedents to it. 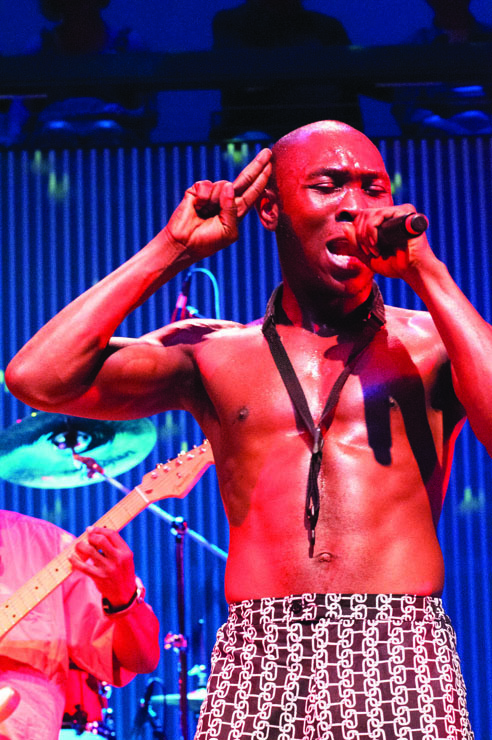 “Finding Fela,” directed by Alex Gubney, opens in San Francisco and Berkeley at Landmark, Aug. 15. The word “Finding” appears in colonial lexicons next to “discover,” bad choice of words; however, semantics aside, the film is classic. We get to see how Bill T. Jones choreographed his remarkable musical as we meet the artist turned activist Fela through his children, musicians Femi and Seun, band members, fans, lovers, mentors and in archival footage. Fela is a man who challenged a political power structure with his music, his words, his lyrics –and he was met with brute force and violence. Yet Fela, never let up even when his mother, 82, was thrown by police from a second story window to her death. The public funeral in her honor was remarkable considering what was at stake. Between archival clips of the artist in concert and conversation transcontinentally and at home, between arrests – over 200 – and protests and international uproar when Fela’s passport is revoked and the artist is imprisoned for a year and a half, the footage and conversation with the seminal drummer Tony Allen (born Aug. 12, 1949), http://www.icrates.org/tony-allen-interview-on-afrobeat/, who is credited with the Afrobeat sound, plus the Africa 70 strike when the band protests not getting paid for months, we shift to the present and watch Bill T. Jones have an aha moment when he realizes that Fela’s music was the soundtrack for his life – so how does the director cut or shorten key elements of Fela’s artistic legacy without compromising the works’ integrity? This is the task since Jones wants to remain true to Fela’s artistic person and vision. We watch as choreographer, cast and band piece the work together as those who were there when this history was made comment – not on the musical, but then again on the musical as we watch the work, which was magnificent come to life in front of our eyes as the cast in the Broadway musical embody the passion of the man and the period. He was fierce because the time demanded such from him and those who wanted to change Africa for the people. The influence of Black America and specifically a Black American woman is not overlooked and to see the iconic Sandra Izsadore on screen speak about her meeting with Fela, her journey to the motherland and her protégée’s musical response to his awakening to the power of African art to liberate not just our minds but our souls, is well worth the ticket, yet there is so much more (smile). Fela Anikulapo-Kuti’s life (Oct. 15, 1938-Aug. 3, 1997) was and still is an incredible story. Visit http://findingfela.com/. This film is up there artistically with “James Baldwin: The Price of a Ticket,” produced by Karen Thornsen, William Miles; Jamie Fox in “Ray” (2004), directed by Taylor Hackford, and perhaps, from what I am hearing, the new film on James Brown with Chadwick Boseman (Jackie Robinson in “42”), directed by Tate Taylor. Jill Scott and other familiar names are in this work. I am vibing on the African Diaspora citizen tip presently, so I was immediately drawn to “The Village of Peace” (60 min. ), directed by Berkeley filmmakers Ben Schuder and Niko Philipides, which chronicles the sojourn of African Americans who leave their homes in Chicago in 1967 to travel to Negev desert by way of Liberia – the entire journey takes two years whereupon reaching Israel the community has to hang tough as the Israeli government first opposes then embraces this community of Africans who returned to what they interpreted as Martin Luther King Jr.’s call to reside in the Promised Land. Approximately 300 people made the original migration. Today, over 5,000 African-Hebrew Israelites live in Dimona, Israel. This film gives a great overview of the community, which is not Jewish, rather Hebrew Israelite descendants of the original inhabitants. This is certainly a Diaspora citizenship story. I love the attention and respect to nature given and the director’s focus on the education and arts that are part of what makes the community thrive. An earlier film, which introduced me to this community, “Black Sister Wife” (2000) directed by Timna Goldstein and Hadar Kleinman, focuses more on the story of a family where the husband is bringing a younger woman into the home after 21 years of marriage. Zipora Khazriel, the senior wife, eventually gets with the program, but her submission and the potential alienation of the younger wife leaves a bitter taste in my mouth (http://tjctv.com/movies/sister-wife/). By the time directors Schuder and Philipides show up with cameras, though, the community has had an opportunity to rehearse this controversial part of the script, so the women profiled in “Village” are all happy co-wives as are the men interviewed and children (smile). I like the interviews with the young woman who speaks of preparing for being a mother and wife as she laughingly recalls the response to her presence in her unit. The white Jews have never heard of the Hebrew Israelites and don’t know what to make of the English and Hebrew speaking fly Black girl. They almost seem to be a nation within a nation, yet they are not off the Israeli radar. I was reminded of the Nation of Islam; in fact, the kids dress like we did. They are certainly a part of the Do for Self movement that started with Marcus Garvey’s UNIA. “The Village of Peace”beckons visitors to put down their weapons. The thriving utopian community bases itself on teachings from the Torah and practices polygamy, natural birth, veganism and a rigorous adherence to physical and emotional health. Residents speak in the film of the absence of violence in a world where violence is like salt, it is sprinkled everywhere. The village is almost otherworldly, except when the youth put on those military fatigues. I thought I was watching the wrong film when it opens with this resident driving a military jeep. As Israel bombs Palestine, these philosophically “peaceful” residents comply with the military service expected of all residents after they complete high school. How could the directors put Martin King in a film like this? Did they read his speech on Vietnam? Malcolm X is also in the film, along with Muhammad Ali, as if they would co-sign a community that preaches peace and practices war. Ali refused to fight and went to prison, so did the Honorable Elijah Muhammad, and Malcolm X did not support any wars supported by neocolonialists. All the men were for freedom, justice and equality. Other films of African American interest are “Havana Curveball” world premiere, documentary, 60 minutes, directed by Marcia Jarmel and Ken Schneide; “In the Image: Palestinian Women Capture the Occupation” aorld premiere , documentary, 57 minutes, directed by Judith Montell and Emmy Scharlatt; and “Soft Vengence: Albie Saches and the New South Africa” West Coast premiere, documentary, 84 minutes, directed by Abby Ginzberg. Visit http://www.sfjff.org/. Ricardo Lemvo is coming back for a free concert at Yerba Buena Center, Third and Mission in San Francisco’s Jesse Square, 6 p.m., Aug. 21. The Saturday evening gig will feature Lemvo and Makina Loca’s recent CD, “La Rumba Soyo,” which is a three year effort with Lemvo traveling across multiple continents and countries – U.S., Canada, France, Angola – to tap into his Diaspora legacy, which is what we call rumba music. Its historic and eclectic heritage is once again represented classically with many of those musicians still alive to the music. “La Rumba Soyo” is both wonderful music while at the same time an important document of this legacy unexplored until now. Lemvo is certainly a student of the form (smile). Bring your dancing shoes to San Francisco. Visit http://www.cumbancha.com/ricardolemvo. 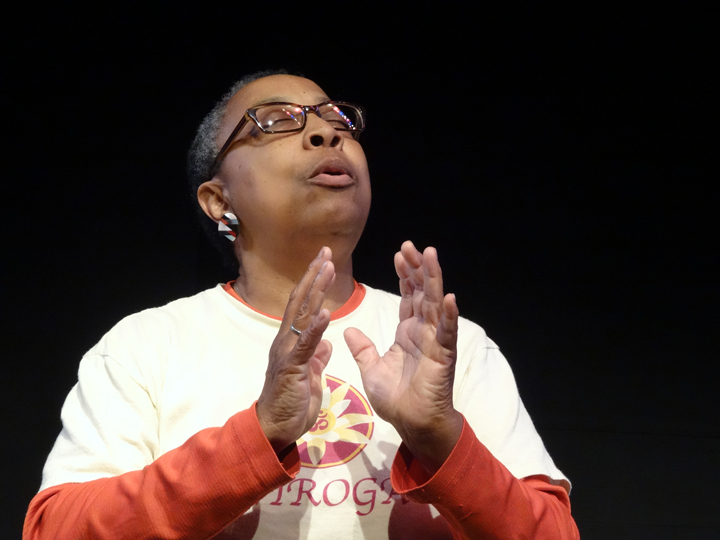 Antoine Hunter, the director of the Bay Area Deaf Dance Festival, Aug. 8-10, at Dance Mission, in San Francisco in its second consecutive year, says of his guest performers: “The list is too long to name here, but I will tell you this. We have deaf lyrical sign dances, we have deaf poets, we have deaf film artists, we have a deaf rapper, we have a deaf R&B singer, we have deaf and CODA or child of a deaf adult aerial dancing, deaf native American Hoop dance.” Hunter’s daughter, a child of a deaf parent, will perform as well.Dance Mission is across the street from the 24th Street BART, 3316 24th St. Shows are Friday-Saturday nights at 8 p.m. and Sunday at 4 p.m.
Tickets are available at: http://www.brownpapertickets.com/event/734871. You can also visit http://www.facebook.com/pages/Antoine-Hunter/55146453129. SFJAZZ has a great line-up for its Season 3 opening Sept. 11. Visit www.sfjazz.org. Arriving back in town after performing in Denmark at a recent hip hop concert, The Coup presents “Shadowbox” Saturday, Aug. 16, 5 and 9 p.m., at Yerba Buena Center for the Arts, 701 Mission St., San Francisco. “The Coup: Shadowbox, a World Premiere,” is a concert, art show and experience piece, a collaboration between The Coup and street artist Jon-Paul Bail with production design by David Szlasa. Special guest appearances by Jazz Mafia Horns, Bhi Bhiman, Classical Revolution, Snow Angel, Emily Jayne from Fashion Slaves, and Damion Gallegos from Fungo Mungo (co-producer of “Sorry to Bother You”). This will be the full Coup funk, punk, dance party experience, plus much more, and brought to you differently from any other Coup show you’ve seen. For information, call 415-978-2787 or visit www.ybca.org. At each performance, audience members have the option to participate as councilors who conduct the meeting – as speakers who are called on to give testimony, as supporters who stand in support of others or as bystanders who observe the proceedings (so it’s OK to just come and watch, too). The brainchild of playwright, actor and teacher Aaron Landsman and Obie-award winners director Mallory Catlett and director, designer and performer Jim Findlay, “City Council Meeting” ponders what draws participants to the process in the first place, and then teases apart the inherent drama and inadvertent comedy that occurs when individuals with conflicting goals congregate in a single room and attempt to get their way. The San Francisco edition focuses in on the city’s rich history as a center for activism and is created through collaboration with a diverse range of San Franciscans, including students, politicians, activists and artists. One featured collaborator is local choreographer and director Erika Chong Shuch, and it comes to the stage with the continued and much valued support of Intersection for the Arts. Learn more about “City Council Meeting” and its history at http://www.citycouncilmeeting.org/. “We who believe in freedom cannot rest,” Bernice Reagan sings 51 years after the March on Washington for Jobs and Freedom at Brava Theatre as the curtain falls on Arielle Julia Brown’s “Love Balm for My Spirit Child,” an homage to the mothers who have lost children to violence here in the San Francisco Bay Area. As people wept uncontrollably around me – the tears a river perhaps connected to the one Moses parted or maybe Jesus walked or maybe Mama Yemanja stirred as these children joined the ancestors’ bones lining the African trail of tears along the Atlantic floor – I contemplated the loss, the Maafa, the genocide. The four women – Cat Brooks, Lisa Evans, Ana Maria Luera and Ayodele Nzinga – danced along the trail of bones, laughingly recalling stories of their boys and grandsons as shadows danced across the stage, obscuring the dreams, camouflaging the rage, wetting the sorrow about to drench us. We walked out wet. Using minimum props, a bed center stage on a riser where one mother lay unable to move when she heard of her son’s death – it was as if she was also in shrouds. To the left and right of the bed were stools where actors sat – as the stories overlapped and moved circuitously within the discourse – mothers talking about their boys. Perhaps it was the dolls the mothers changed diapers on or raised up to the sky – as if the universe was their domain; “Think big, son,” each seemed to proclaim – that made the loss so palatable, so inconsolably sad. Dawon Davis’ body added fluidity to the work as he danced from the audience to the stage – as we saw him duplicated on screen. At times he was a gigantic presence as his shadow covered the theatre walls – joining us momentarily only to disappear. These lives, though short lived, have impact, many of the youth also fathers. The shadows were also emblematic of the resonance these youth have still in these public spaces and places they once walked, sat, stood. I am still chilled by the hungry ghosts who wander with loaded guns trained on Black boys, Indigenous boys, Latino boys. When Davis’ body was filled with bullets – it was traumatic indeed for the viewer – one wonders how the body accommodated such violence, so many shots, so many bullets … how the spirit weighs it now. It was ceremonial – a public wake. My friends hadn’t known what to expect and so were caught unaware. The depth of this despair is a hole we keep adding to and one could ask, to what end? Why keep rehearsing, as Walter Mosely says in “Black Betty,” “one’s death”? When will we change the narrative? When will Black lives have more currency? When will we change the institutions that train the killers – cops and civilians? The lynch mob doesn’t always wear white hoods nor are the villains limited to one race. “Every Twenty Days: Cancer Yoga and Me"
“James Baldwin: The Price of a Ticket"
“Love Balm for My Spirit Child"
“The Coup: Shadowbox a World Premiere"